1. 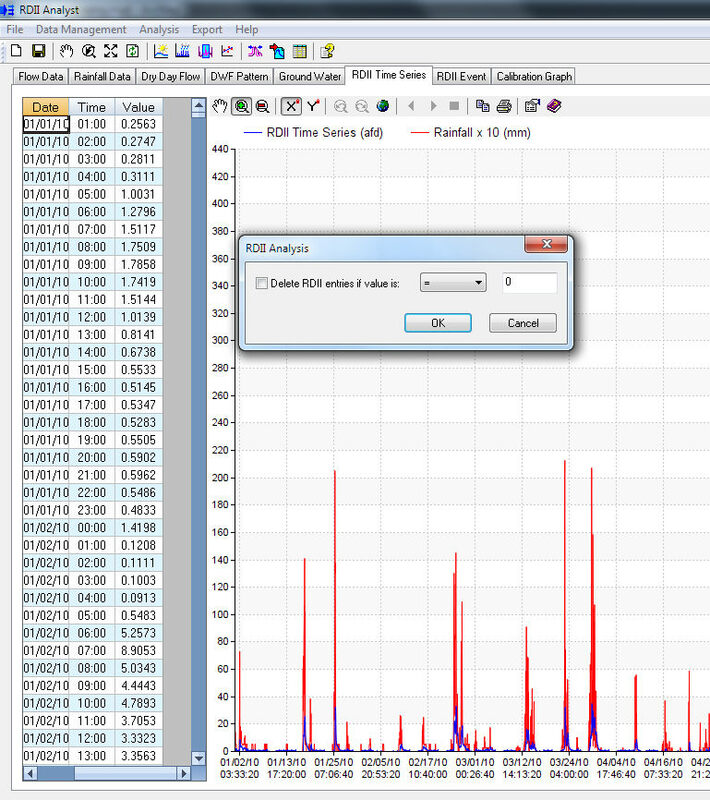 To determine the RDII time series, click the ( ) button on the toolbar, or engage the tool from the menu Analysis -> RDII Analysis -> Compute RDII Time Series. Choose the parameters below. 2. The RDII time series is provided in graph form and in report format. The RDII time series and the rainfall data are combined for easy visualization of the RDII events and to verify accuracy of the analysis results.